← Happy Birthday Becca Puglisi! Today we’re taking a field trip to touch on something all writers struggle with at some point: story doubts. It might come about because of a less-than-enthusiastic reaction from a beta reader, or after requests for fulls go nowhere. Maybe you have rewritten your opening 9,000 times or have three drafts of your novel, all told from different points of view, and still feel uncertain which version is the right one. Doubt – soul crushing worry that we are not capturing our story well enough – can not only snuff out a novel, but the writer’s spirit as well. Jennie Nash has some excellent insight into this pool of doubt, and how to swim through it to write deeply from passion, telling the story as only the author can. Where should my story really start? What needs to happen in the middle? How is the best way for it to end? Nine times out of ten, they are asking the wrong questions. Instead of Where, What, and How they should be asking Why? – and not even about the story itself, though that is an extremely powerful exercise, too*, but about themselves as writers. If you’re anything like me and almost all the writers I work with, your story has been haunting you for quite some time. It keeps you up at night. It nags at you when you are reading other people’s stories. It pops into your head at times when it is least welcome. It wants to be told. It can be extremely useful to know why you think it’s haunting you. I actually believe that not knowing the answer to why is one of things that holds a lot of writers back. They know they like to write, they know they’re good at it, they know they have a story to tell, but they don’t know why it matters to them, or what, exactly, it means to them. As a result, they write a book that doesn’t ever really get down to anything real and raw and authentic. They write pages that skate along the surface of things. And if there’s one thing readers don’t need, it’s to skate along the surface. That’s what the Internet is for. And cocktail parties. And the line at Costco. Writers want someone to buy something from us as much as the folks over at Apple and Nike. We do! Even before we talk about dollars and cents, we want readers to buy that we have something important or entertaining or illuminating to say. We want agents to buy that our idea is generous and alive. So all this work you’re going to do on WHAT your book will be? It often all hinges on WHY you want to write it — on why it is haunting you, on what captivated you from the start, on what the spark was, on why you care so much. If you can articulate that, it will probably unlock the story in very powerful ways. In 2002, literary agent Ann Rittenberg gave a speech at Bennington College that sums this up beautifully. What kind of writer can make characters [you care about]? I think the kind of writer who is not afraid to access the deepest places in himself, and is not afraid to share what he comes up with… I see plenty of writing that has kernels of good in it, but it’s hedged around with so much tentativeness, or uncertainty, or excess, or stinginess, that it doesn’t allow the outsider — the reader — in… Yet when I read something that speaks to me, that absorbs me, that remains vividly in my head even when I’m not reading it, I’ve been intimate with the person who wrote it before I’ve even met him. This isn’t to say I know anything about him. I only know he or she’s the kind of writer who’s willing to explore the deep essence of character…. Try to recall the moment your story came into your head. What took root in that moment? Why does it matter to you? What does it mean to you? It wouldn’t have stuck in your head if it didn’t mean something and matter to you – a lot. Have you been shying away from the truth of that moment – out of fear of how raw it is, or how powerful it is? Let yourself to get closer to it. Let that truth inform your story from beginning to end. Let it be the engine that drives your narrative forward. A story that has a single driving force tends to be a story that has a solid beginning, a gut-wrenching middle and a satisfying end. *Ask why of your characters, as well. Why do they care about what they care about? Why will it hurt them not to get it? Why are the afraid? Why can’t they do what they know they should? Why did they do what they just did? Why did they cry? Why, why, why. It can be the key to great writing. 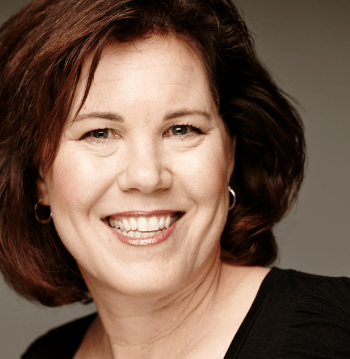 Jennie Nash is a book coach, the author of eight books, and the creator of the Author Accelerator, a program to help writers break through procrastination and doubt and write books that actually get read. Check out her free resources: a free 5-Day Book Startup course, a free weeky trial of the Author Accelerator and weekly lessons on writing in the real world at jennienash.com. 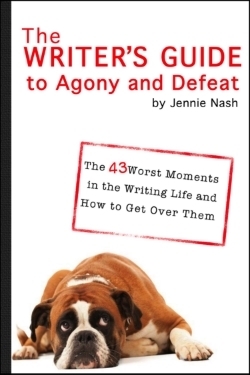 Also check out The Writers’ Guide to Agony and Defeat, and sign up to win a free coaching session. Do you struggle with story doubt? How do you move past it? Let us know in the comments! This entry was posted in Editing Tips, Experiments, Guest Post, Rejection, Uncategorized, Writer's Attitude, Writer's Block, Writing Lessons. Bookmark the permalink. Interesting article! I’m not one hundred percent convinced that all writers write because the story begs them to. If that was really the case, writer’s block shouldn’t be as much of a problem. I write because I want to write, which I don’t think is quite the same. Still, a fascinating read! I enjoyed it. Thanks Jennie! LOL — I actually look at that line that personified story about ten times and wondered if I should keep it or not. I’m not sure I believe it, either! Does a story want ANYTHING? Yikes — could get pretty metaphysical pretty fast. But I kept the line (Obviously.) I think it has a certain element of truth to it for a lot of writers. For many others, it’s more what you describe: the writer is called or compelled. I do kind of get what you mean, though. When you first start writing a story, there’s definitely that feeling that you have a wonderful idea and you’re positive it’ll turn into a bestseller. But (especially for novels) it usually doesn’t last. Anyway, it was an interesting post and I enjoyed it. Thanks again. Fiction though, the passionate why has to remain felt, somewhere inside myself. Maybe it’s winter doldrums, but right now, WHY is waiting for an answer… this is probably some winding, loopy road I’m just going to have write myself out of, with lots of visits to the digital trashcan on my laptop. Another smart trick is to give yourself permission to stop. Decide that you AREN’T going to write the novel. Decide not to worry about it until, say, February 1st. During that time, if thoughts about the novel come up, remind yourself that you decided not to write that book. And then see how it feels. It might actually be a giant relief. You might actually not want to do it, and letting it go will make room for other passions. OR you might not be able to stand it. You might clamor for the chance to get back to it. Hi Jennie, thanks for such a helpful and inspiring article! I’ve always thought that why is the most important and inspiring question to keep coming back to. Also found your comments above really helpful – asking why throughout the story so that it moves along in the right direction for the right reasons. Thank you! You’re very welcome. Thanks for your kind words. Aha! This is great to remember when I dive into revisions. I get a little fearful sometimes (heck, a lot of the time). It’s scary stuff! Hang in there! Events converged in the proper configuration: Perfect dental checkup, Christmas shopping completed, last boxes ready to ship, Larry zzzng in his easy chair, and I read this blog just now. I WILL run with what I have in my WIP, finish illustrations and send it out for formatting et al. Your motivation tipped me like sleeping Holstein in a pasture. Thank you more than you will ever know. Ha! Well, it’s not as good as finishing Christmas shopping, but I’m glad it helped! The proverbial nail has been slammed on the head by a very big hammer. Thank you, Jennie! If the answer to “why” isn’t rooted in a passionate response, it’s likely that one is writing the wrong story. And on some level, the writer knows it. Amen, Karen! You make an excellent point: the writer DOES know it. I find that writers often know EXACTLY what is wrong with their books. The problem comes in being brave enough to acknowledge and face it — which is NOT easy, because it often means throwing out 300 pages and years of work. I have been there, done that. It is SO un fun. But it is often the only way forward. Better to START by making sure you know your story and your WHY. Love to hear from you and share a virtual cup of tea! Possibiliteas make great gifts! Would love to share virtual tea with you Jennie! BTW…the teas make for an excellent holiday gift for creatives of every type! Fuel The Muse! Wonderful article, Jennie! Recently I’ve had some doubts with certain scenes in my WIP, I want to make sure they have a reason for happening (a reason that moves the plot and/or protagonist’s character arc forward) as well as a logical transition from the previous scene. It’s probably a little more specific that what you talked about above, but it hits on the same nerve. Maybe asking why questions like “Why are we going here?” and “Why / how is this important to the story?” will help. Do you have any suggestions in this area? Ha ha — why I DO have some suggestions! Your instinct is actually 100% correct: you want to keep asking WHY in a more and more specific way at every turn all the way through. If you start with the really big picture why (why are you writing this book? Why should we care? ), you can then move down to the next level (why are you focusing on this character at this time in this place? ), and so on (why are you choosing to write this particular scene as opposed to THAT particular scene) and you can go all the way down to the level of the word (why am I using this particular word instead of any other?) My suggestion for you would be to stop writing forward — heresy, I know — and make sure that you can answer some of the big whys. Books that have sagging middles and ends that don’t pay off are almost always the result of a writer not knowing the answer to WHY somewhere early in the story. Think of it like this: your plot should not a random series of events or even bad things or dramatic things. It should be a series of things designed to prove your point — your underlying whys. A bit hard to go into too much depth on a post reply — but I hope that helps! That was an awesome reply! You really helped me. I’m just getting back to my manuscript after 6 months of not writing due to depression (I’m bipolar). I was manic when I wrote it in 6 weeks. Now I see that I have a solid beginning, but the story starts to fall apart after the mid-point. You have graciously provided me with an approach to realign the work. Stepping out of ourselves can give us the freedom to see ‘more’ than we can when we’re in the midst of it all. Congrats to Jennie. I’ll definitely be putting this one on my TBR list. Thanks you! Thanks for your note, SA. Well said!